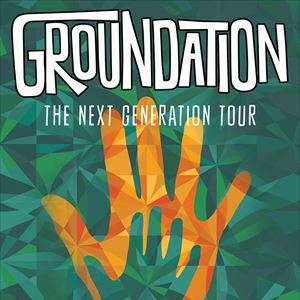 First formed in 1998, Groundation are a nine-piece band who create an altogether unique reggae sound, featuring swirling, jazz/funk inspired horns, stout Latin and African based poly-rhythmics, and soulful harmony vocals. Their concerts utilize live improvisation, in classic jazz fashion, and are renowned for their high energy, communion-type atmosphere. Expect to hear classic tracks like 'Jah Jah Know', ‘Picture on the Wall’ and “Babylon Rule Dem” along with new songs from their latest album 'The Next Generation'.